For heaven’s sake, it is not ‘zindagi ka suffer’….! Suffering is self-inflicted. If you are suffering in any situation, you have only yourself to blame. Yesterday a friend texted me his predicament. He said he was unable to reconcile with my thoughts, which I share in my daily blogposts, on a “practical, real Life basis”. “While I agree in theory to what you say every day, I simply can’t believe that you can be happy without money. Means to earn a living, having money for everyday needs, to me, is a critical pre-requisite. I am suffering because I have no job and no money,” he confessed. I can empathize with my friend. I have been in his shoes too with regard to postponing happiness by imposing pre-conditions on Life. I have suffered too for weeks, months and years. Until I realized that you suffer only when you set conditions on Life. How can you? How can you insist that Life deal with you in specific manner when you don’t even know how Life works and thinks? The problem with such condition-setting is that whenever Life does not conform to your expectations, which will be ever so often, you will suffer. Today, I am still in my friend’s shoes – I have no work and no money too, but I have learnt not to suffer. Because I have accepted my situation unconditionally. I keep trying harder every single day, with my wife, to put our business back on track but I don’t say anymore that I will be unhappy with what I have, and my Life, unless my business turns around. Resultantly, while there is intense pain – if you are living or have lived without money, you may feel my pain – there is no suffering. I am reminded of that beautiful song from the Hindi movie Safar (1970, Asit Sen, Kalyanji Anandji, Indeevar, Kishore Kumar, Rajesh Khanna, Sharmila Tagore) which talks about the inscrutable nature of the journey of Life. The lyrics go…’zindagi ka safar, hai yeh kaisa safar, koi jaana nahin, koi samjha nahin…’ Safar in Hindi means journey and zindagi means Life, but, ironically many are living their lives and humming this song as ‘zindagi ka suffer…’ This is not intelligent punning. This is the reality. Many, like my friend, are resisting their realities and that’s why they are suffering. 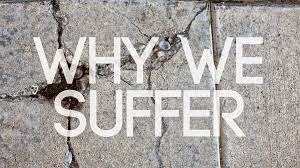 To summarize, you suffer only because you have chosen to suffer. Accepting your reality, the Life that you have, cannot solve your problems. It cannot take away your pain. But it surely can help you not to suffer. It is only when you choose not to suffer, will you be able to attempt better solutions to your problems. Remember: you have been given this Life, this zindagi, for you to journey (safar) through, experience and learn from this lifetime, and not to suffer! So, whatever it is that you are dealing with, accept it and journey on…with a song in your heart! Author AVIS ViswanathanPosted on December 23, 2014 March 14, 2016 Categories Art of Living, Asit Sen, Happiness, http://schemas.google.com/blogger/2008/kind#post, Indeevar, Inner Peace, Intelligent Living, Kalyanji Anandji, Kishore Kumar, Pain, Rajesh Khanna, Safar, SufferingLeave a comment on For heaven’s sake, it is not ‘zindagi ka suffer’…. !